CBS's 'Big Brother' announced the upcoming season will have a new twist, "Summer of Temptation," "where the Houseguests will be challenged like never before as they embark on a season of tempting offers that could give them money, power and safety in the game," according the press release, "But, they will need to be careful, because for every temptation taken, there will be a consequence to face." The Houseguests will be tempted with Monday, Power and Safety, with visual reminders all over the house that the game NEVER stops. CBS announced confirmed the season 18 premiere of "Big Brother" on June 22. "BIG BROTHER follows a group of people living together in a house outfitted with dozens of high-definition cameras and microphones recording their every move, 24 hours a day. Each week, the Houseguests will vote someone out of the house. At the end, the last remaining Houseguest will receive the grand prize of $500,000," according the press release. 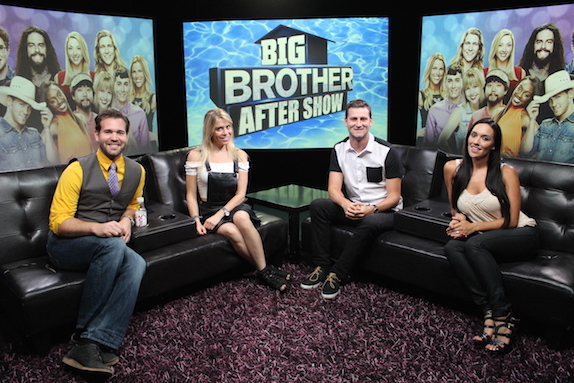 theStream.tv Fan Show network presents Big Brother 17 After Show with Kevin Zelman, Ashley Iocco (BB14), Jen Johnson (BB8) and Ryan Hooks. With two eliminations this week, Johnny Mac, was the second houseguest to be evicted from the Big Brother house. Reality Wanted has an exclusive interview with Johnny Mac to hear all about the eviction and who he thinks will be final houseguests. Reality Wanted: What was the mindset behind throwing so many competitions and do you regret doing so?